Ever wonder what goes into making a great beer? Of course you need to start with a great recipe, but what about the serving vessel? A great tasting beer needs to come from an equal can. After master brewer, Sean Larkin, developed an outstanding recipe we set out to make a can that would match the beer’s quality. 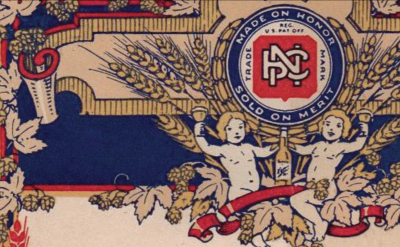 With the help of local beer historian, Greg Theberge, we found some great pieces in our archives that were perfect for the heritage behind this craft brew. 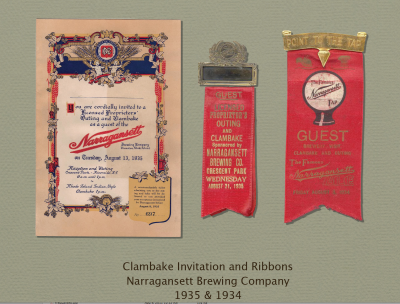 So we used imagery from a 1930’s letter inviting licensed proprietors who sold Narragansett to an August clambake. The use of the barley and hop plants was just what we wanted to showcase the use of Bohemian malts and hops. *Image courtesy of Greg Theberge. Do not use without permission. The old brewery once made a pilsner in their early days. 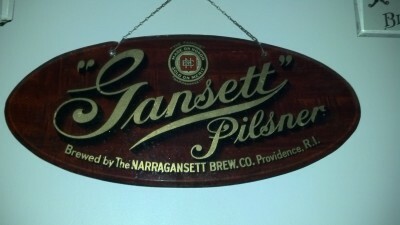 This sign is from the early 20th century before the brewery was even in Cranston. So this all-malt craft style is one we’ve wanted to pay tribute to for some time. 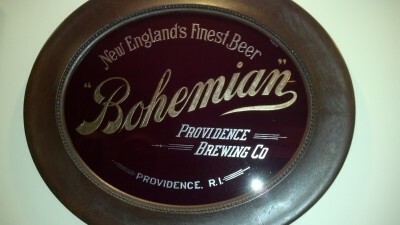 The Providence Brewing Company was separate from Narragansett when this sign was made. 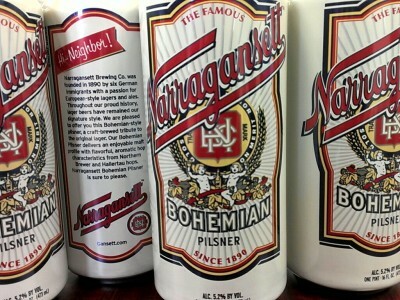 Several breweries at this time made Bohemian style beers. Just about everyone loves the scene in Shawshank Redemption when the inmates enjoy icy cold Bohemian beers after taring a roof. 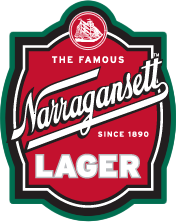 So when we set out to brew a pilsner, a Bohemian Pils made perfect sense since it also speaks to the German heritage of the original six founding members of Narragansett.